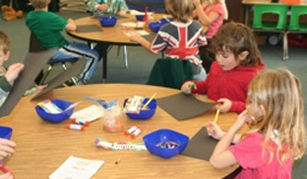 Arts Outreach is a nonprofit community arts organization based in the Santa Ynez Valley. Recently celebrating our 35th anniversary, we began in 1980 with five volunteer artists as an arts-in-schools program, placing artists in the classrooms to teach and perform. Today, Arts Outreach has grown into a collaboration of over 70 talented and professional artists. Our mission of promoting the visual, literary and musical arts in the Santa Ynez and Los Alamos Valleys has grown stronger than ever with the help and support of the community, teachers, principals, and superintendents. At first we reached 150 youngsters. 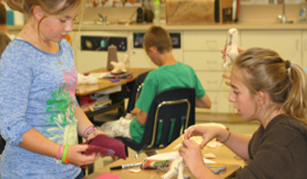 Now, Arts Outreach serves over three thousand plus students along with Santa Barbara County residents of all ages, producing events in unique rural settings. We have held jazz cabarets in delicatessens, concerts in vineyards, mountaintops, and churches. Our audience and programs continue to reach out with events such as music concerts, “Real Men Cook”, and APPLAUSE, a Young Artists Program. We also offer after-school arts classes, a youth Glee program, and an Elder Arts program which serves seniors year round. © 2019 Arts Outreach. All Rights Reserved.